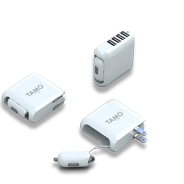 Wireless Traveler is excited to announce our new Smart Accessory product line! Accessories range from smart watches, wireless ear buds, Orbitz phone & key trackers, wireless speakers, USB car and wall chargers, lipstick-size rapid battery charge with flashlight, and multi-country electric plug adapters. These accessories make the perfect gifts for the travelers in your life. And with Valentine’s Day coming up, now is the perfect time to surprise your travel friends and family with one of these travel accessories. For Travel Advisors, these smart accessories are a thoughtful and practical gift for your clients. All of our accessories are very reasonably priced so you don’t have to spend a fortune. 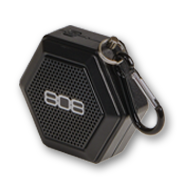 Check out our Accessory Page for a complete list of products and prices. The ZeWatch2 Smart Watch is an exciting smart watch that that lets you answer calls from your wrist with its built-in microphone and speaker and lets you receive text messages and email notifications. 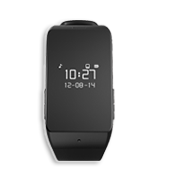 It also tracks activity, distance traveled, calories burned, and hours slept. The ZeWatch2 is ideal for students to use as a FitBit and a quiet alarm clock on vibrate in dorms. Plus, it is attractively priced at only $89.99! Never lose your ear buds again. The Wireless Magnetic Ear Buds have a high-quality sound and feature magnetic earbud closure, volume control and microphone. Play time is up to 4 hours. 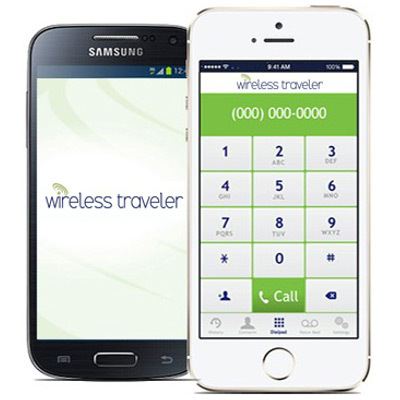 Pair it with Bluetooth on your smartphone and use the Wireless Traveler Wi-Fi Calling App to call home for 2¢/minute. The lightweight Wireless Speaker lets you take your music with you. It is ideal for biking, backpacking, touring, or in your hotel room. It works with your smartphone or tablet and you can pair and play with just one button! With its handy clip, you can attach it to your backpack, belt loop, or keychain. The compact All in One Car & Wall Charger has four USB ports and comes with adapters to work in your car, home or hotel. It features a rapid charge that works both domestically and overseas. 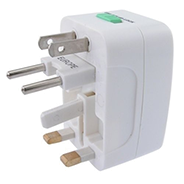 (A local country adapter may be required for overseas use.) Ideal for family road trips! 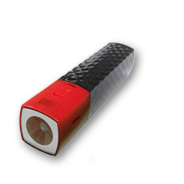 The 2600 mAh Portable Rapid Charger is the size of a lipstick holder and comes with a LED flashlight – the perfect combination of convenience and safety. It provides approximately one full charge and works with both Androids and iPhones and it comes with an Android USB cable. The Multi-Country Travel Adapter will handle most of the countries you visit. You can safely plug your electrical devices in Europe, UK, Australia, New Zealand, Asia, Africa, and North and South America. It features a surge protection, safety shutter and power indicator light. And with its compact size, it won’t take up much room in your luggage. To introduce our new Smart Accessory products, we are having a Smart Accessory & Gifting Ideas Webinar on Wednesday, February 8 for Travel Advisors. This is your opportunity to view our exciting new product line. We’ll do a quick show and tell of our new accessories, and also talk about the dangers of free public Wi-Fi and how to avoid losing your ID when traveling. Because we know how valuable your time is, this information-packed webinar is only 30 minutes. We’ll start at 2:00 pm EST. To register, click this link – Wireless Traveler Webinar – and complete the registration form. Two Travel Advisors will win a Smart ZeWatch2 at the end of the webinar, so register today!